Elayna was first introduced to the cosmetic industry in 1996, working part time for Estee Lauder cosmetics. With a passion for people, and natural eye for color, Elayna began to receive offers from companies such as MAC, Christian Dior, and other upscale cosmetic lines. At one point, she was working for 5 cosmetic lines as a “special events makeup artist”. Being her own boss gave her the freedom she had been seeking during her prior 7 years in the Time-Share industry. She could now satisfy her pursuers for weddings and special events. She was dubbed “Makeup Artist on the Go!”. “I loved the flexibility cosmetics gave me, so within 3 years, I was able to incorporate photo shoots also, which inspired me to attend the Palomar Institute of Beauty in San Diego, California. I obtained my Aesthetician’s license in 2001. That same year, when her husband was transferred to Scottsdale Arizona, Elayna found herself working at The Desert Retreat Salon and Spa, located in the upscale area called “Scottsdale Mountain”. It was there she expanded on her talents in makeup artistry, to include the services of specialty facials, waxing, and full body treatments. The experience she acquired at Desert Retreat, inspired her to expand her education and knowledge, that lead her to have over 100 hours of advanced courses at the International Dermal Institute. In 2007, her family was on the move again, but this time, it was back to the Coachella Valley where Elayna had grown up. With fate and destiny in her corner, she was hired by The Vein Doctor Medical Group as the new Aesthetician. Although it started as a part time opportunity, the well established Medical office recognized Elayna’s passion for people and her skills in marketing. She is now a permanent fixture at The Vein Doctor Medical Group’s Palm Desert office. 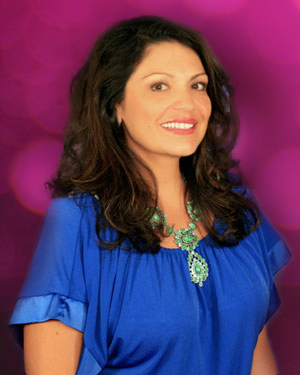 In addition to doing facials in the Esthetic room, she is also The Vein Doctors Ambassador & Events Coordinator. A few measurable moments with Elayna will prove to be an enlightening, and invaluable experience. Mention Elayna’s website, and get $10 off your next facial service. You can also receive a special incentive to use for the extended range of other services provided at the office. Sign up for her mailing list to receive notices of Beauty and Health events all around the Coachella Valley.